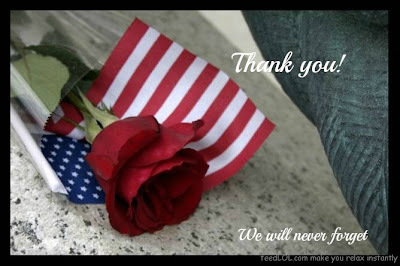 Just a quick note to wish you all a very safe and Happy Memorial Day Weekend! If you are or have a member of your family that is or was in the Armed Forces, Thank You, for your service, their service and sacrifice. My prayers go out to you all this weekend, both for loss and gratitude. I am the niece and aunt of men and women that served with you and understand your pride and grieve for your loss. Hi, Heather!! Thanks so much. The very same to you!! Hugs back! Hi Theresa, I love your flowers. Wonderful tutorial. It's very easy to follow. Your wreath is great.